The concept of sleep paralysis is horrible in itself – it is a state of consciousness, but despite being awake the person experiencing it finds themselves unable to move. If you have ever experienced it, you have my sympathy, if you haven’t – well a new horror film titled Mara may well fill you with enough terror to be glad you haven’t experienced the condition first hand. Sleep paralysis happens when the person is moving through the stage of being asleep to being awake, and sometimes people are left unable to move for a few minutes. Like I said, it’s horrible. Directed by Clive Tonge, Mara is based on the ancient folklore idea of the ‘night hag’; the name given to the ‘presence’ which some people feel when they experience sleep paralysis. 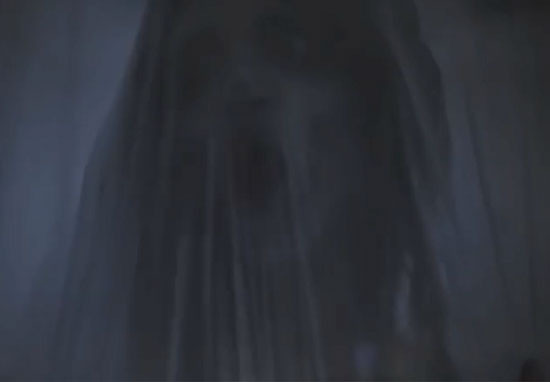 In this case, the ‘night hag’ just so happens to be a terrifying murderous ghost-like woman called Mara. An independent movie, the film stars Javier Botet, Melissa Bolona, Craig Conway, Lance E. Nichols, Rosie Fellner, and Jacob Grodnik. Mara is reportedly Clive Tonge’s first feature as a director, and comes from the same producers as Paranormal Activity and Insidious – so they do have previous for making audiences jump out their seats. The film centres around a criminal psychologist named Kate Fuller, who is investigating the murder of a man who appeared to be strangled in his sleep. The only witness is the man’s daughter, who tells Kate that Mara murdered her father. You may experience sleep paralysis if atonia lingers as you wake up from REM sleep; it also may occur if you transition quickly from wakefulness into REM sleep. Sleep paralysis may occur together with hallucinations. You may imagine that you see or hear something; you even may think that someone else or something is in the room with you. Across cultures the strange sensation of sleep paralysis has evoked some vivid descriptions. In 1664 a Dutch physician published a case history of a woman with sleep paralysis. “’The devil lay upon her and held her down,” he wrote. There is no release date set for Mara as yet.